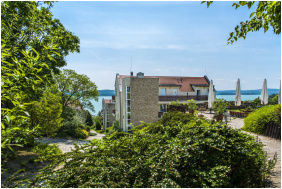 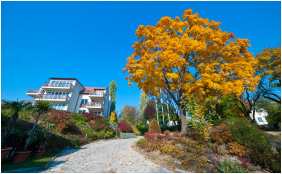 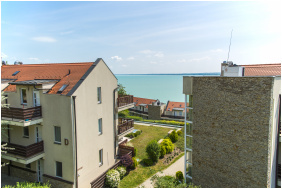 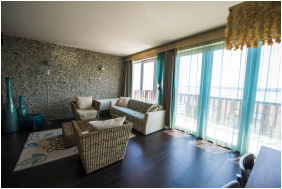 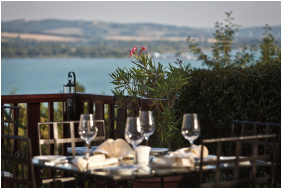 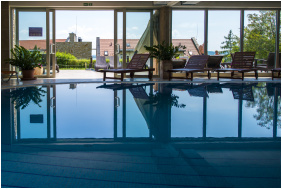 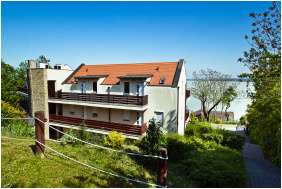 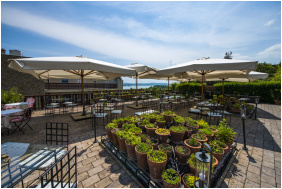 Situated on the Northern shore of Lake Balaton, on the Kopasz Hill in Tihany, just within 100 meters from the beach, Echo Residence All Suite Hotel enjoys an exceptional and quiet location with a beautiful view over the lake. 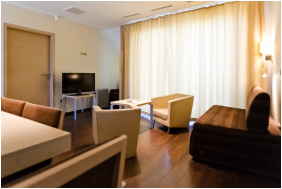 Nestled among ancient trees, the hotel features 18 suites in two buildings and offers additional services such as convenient suites, a wellness section, a meeting room, a nice restaurant and safe parking. 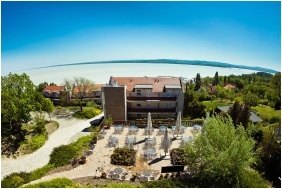 The four-star superior hotel is surrounded by a large park, its two wings offer comfortable air-conditioned, non-smoking suites with modern furnishing, panoramic views of the lake, furnished balcony, floor-to-ceiling windows, LCD-TV, telephone, WiFi Internet connection, bathroom, bathrobe, hairdryer, feather pillows and fine linen, minibar and safe. 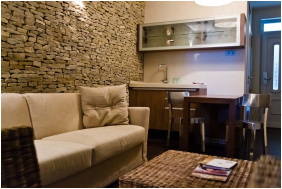 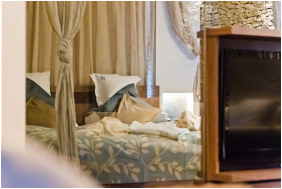 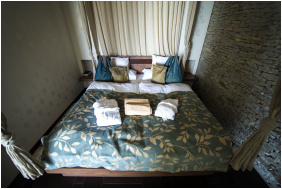 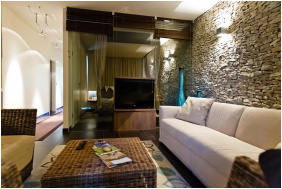 The Deluxe suites include a bedroom, a living room and a bathroom and the Echo suites include two bedrooms, two bathrooms, as well as a living room. 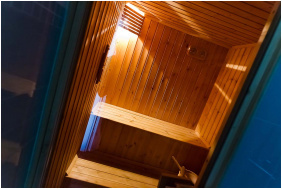 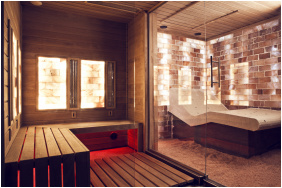 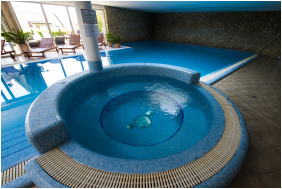 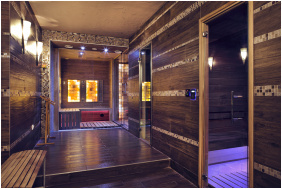 The third wing includes the Vital Wellness section, offering a 15-metre long swimming pool, a jacuzzi, a Finnish sauna, a sunbathing terrace, and massages. 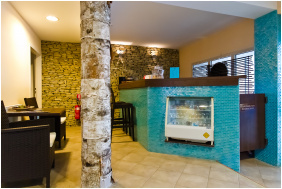 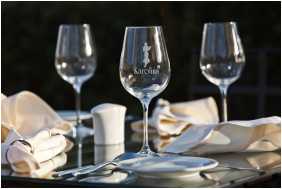 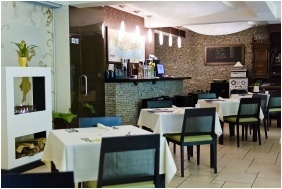 A cosy restaurant offering local cuisine and fine Hungarian wines, a meeting room for up to 30 people, a secure parking lot and a garage are available to hotel guests. 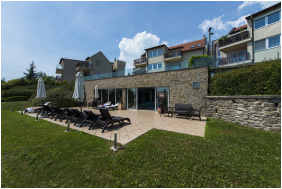 The beach and the yacht port can be reached with an easy walk, and a 18-hole golf course awaits guests at a 5 kilometer distance from the hotel. 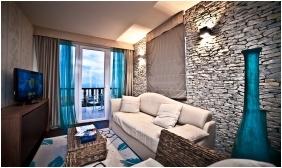 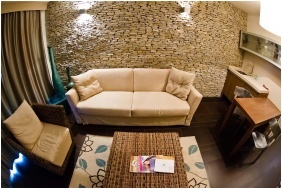 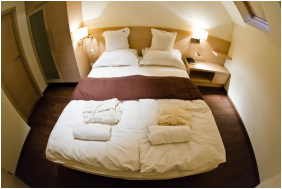 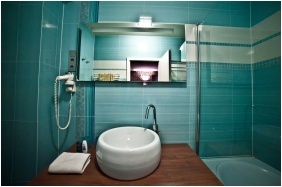 Check availability and best rates in Echo Residence All Suite Hotel!